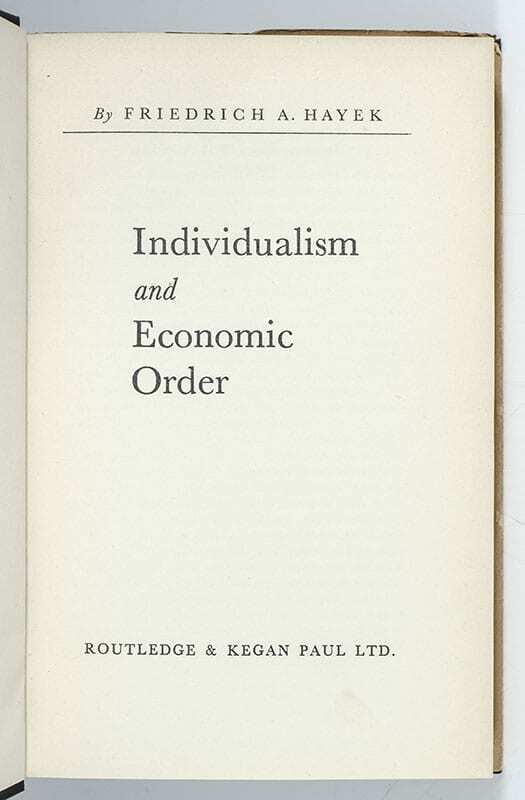 First British edition of this collection of economics essays rejecting socialism in favor of true individualism. Octavo, original cloth. Near fine in a very good dust jacket with a few small closed tears and wear. 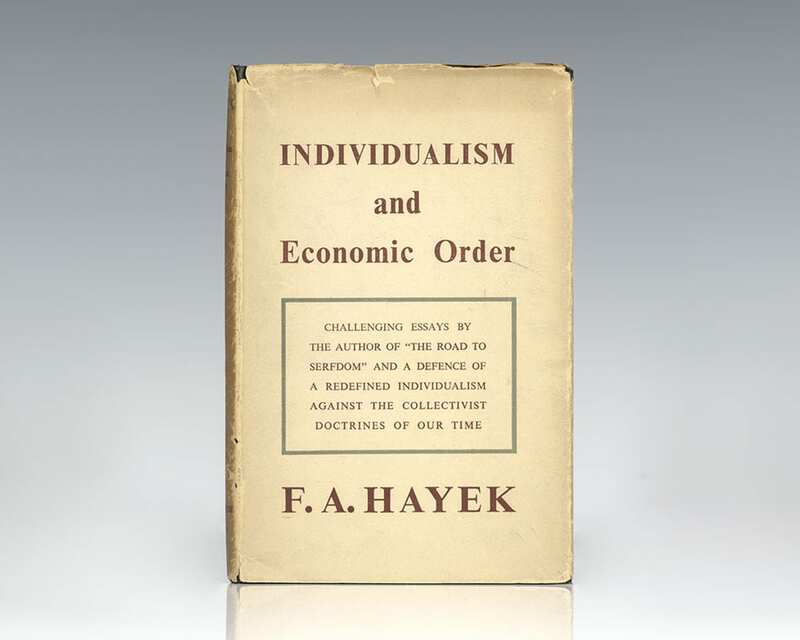 Individualism and Economic Order is a collection of essays originally published between the 1930s and 1940s, discussing topics ranging from moral philosophy to the methods of the social sciences and economic theory to contrast free markets with planned economies. 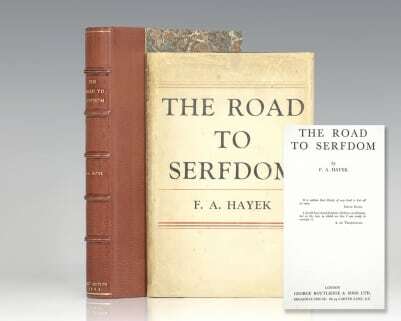 Early printing of this collection of essays. Octavo, original illustrated wrappers. Inscribed by F.A. 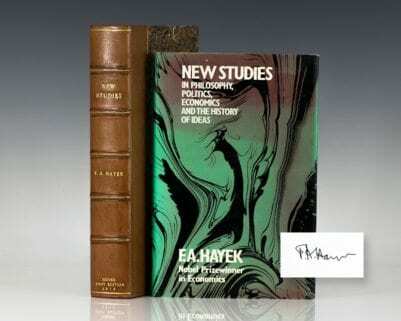 Hayek on the front free endpaper, “To Mr. John Marks with best wishes F.A. 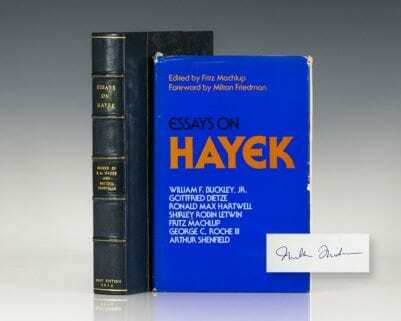 Hayek 28.3.80.” In near fine condition. 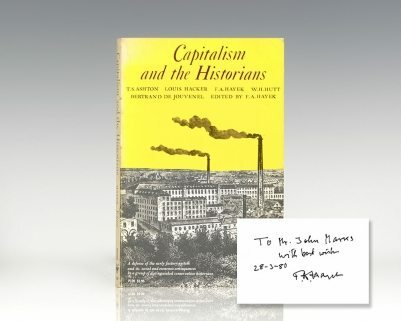 Includes essays by T.S. Ashton, Louis Hacker, F.A. 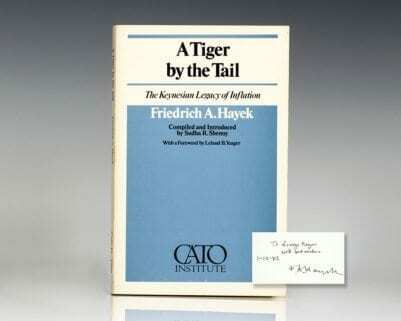 Hayek, W.H. Hutt and Bertrand de Jouvenel.